Wolf Express 1.31 – Build mobile-friendly page layouts. Create layouts optimized for mobile devices. Wolf Express lets you create single page layouts for mobile devices such as home pages and separate pages. Next story Fix My iPhone 1.0.0 – iOS System Recovery tool. Previous story Hands Off! 4.0.0 – Monitor and control application access to network and disks. Touch Forms Pro 7.25 – Drag-and-drop Web form builder. 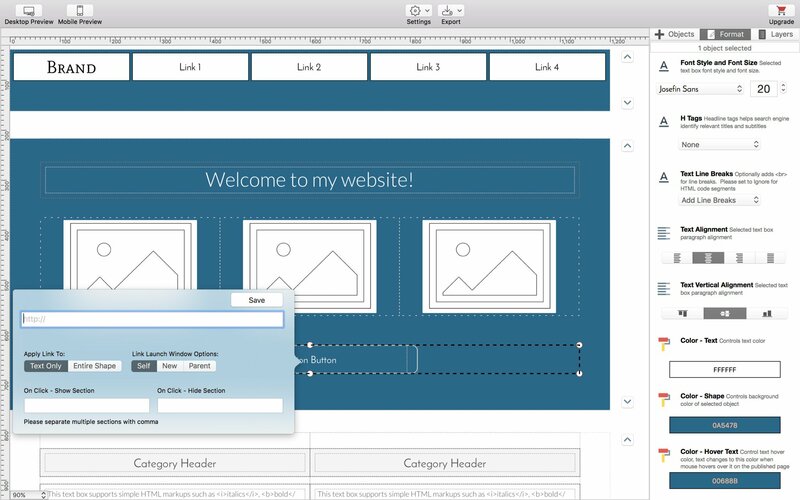 UXWeb 1.2.1 – Drag & Drop Website Builder for Mac.